An attractive lamp post with four large globes decorate the street near the Byward Market in the city of Ottawa. A colorful advertisement for the Byward Market is attached to the lamp post. 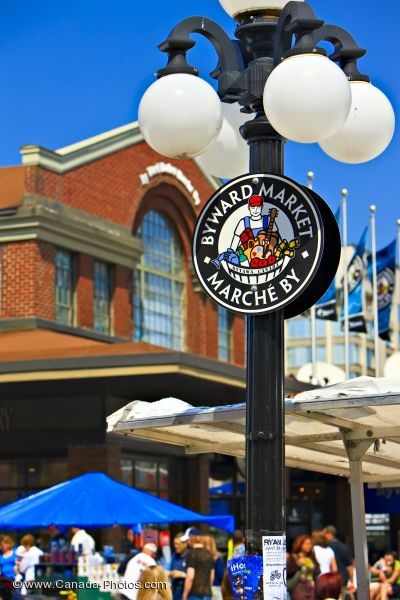 The Byward Market sits in the background of the lamp post in the city of Ottawa. A bright blue umbrella sits in front of the market building. Lamp post and sign at the Byward Market, City of Ottawa, Ontario, Canada.